When an episode focuses on Callen, there is usually an association with sadness and even heartbreak. Across the seasons he has discovered a sister he cannot remember, who drowned as a child. Repressed memories have surfaced of him aged four, witnessing his mother’s murder; Hetty later explaining why she never told him that she knew his CIA mother. Flashbacks to an angry teenage Callen show him incarcerated and beaten by police officers. The accidental meeting of his father, Nikita Reznikov led to a reunion that confirmed his father did wantonly abandon him and his sister - to protect them. On the plus side, he has become more settled. After five seasons he finally developed a romantic relationship with Joelle (initially based on his lies) - but was then betrayed by her. He struggled to move on with Anna Kolcheck and despite now being romantically involved, she is absent with her own career. Callen is getting to know his new family - his father, half sister Alex and nephew Jack. So when Callen’s father is detained by the State Department, to be traded for husband and wife photographers captured in Iran and accused of being CIA, the challenge is how Nikita can be removed from the exchange. 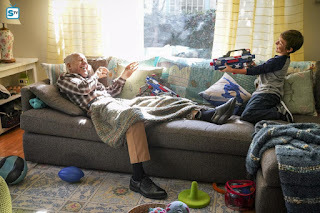 The episode opens with Nikita playing with Jake, Alex likening their toy gun/hostage play to training and Callen observing it shows Nikita cares. Despite the fun atmosphere Callen doesn’t appear overly comfortable in his family environment, looking down at his hands when Alex comments that her son is happy. Alex is affectionate with her father, kissing him farewell. 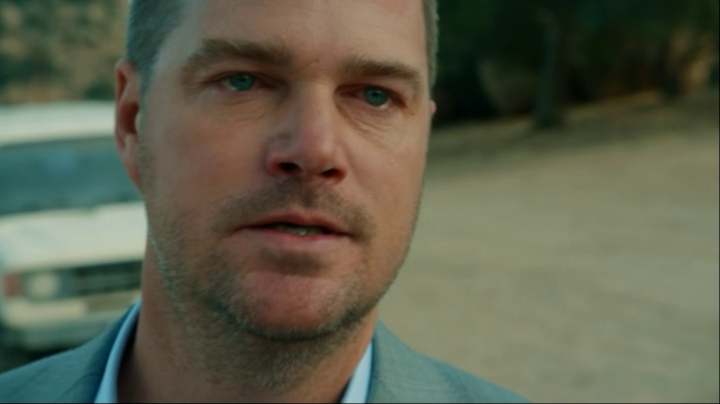 Callen maintains his distance, even when Nikita points at his cheek and says “Nothing, not from my only son?’ The smile on Callen’s face suggests that he is moving forward in his feelings for his father and he still has a way to go. 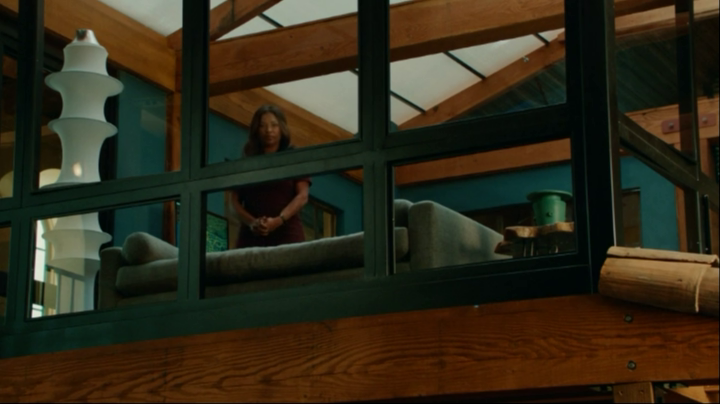 Understanding the family dynamics and their emotions is crucial to the remainder of the episode as before this scene finishes, the State Department. Alex is confused, Callen becomes protective and shoves an agent, prepared to use violence which frightens Jake, and Nikita volunteers to go freely. Their reactions foreshadow how this will play out. Warrior of Peace is very much a dramatic episode punctuated with fights and shoot-outs as well as using well placed humour. The team has been advised any attempt to prevent the exchange will be treated as an act of treason and with the clock against them, there is an air of desperation which increases as Callen progresses through the episode. Playing against this is the question of morals and Callen’s are repeatedly called in to question by Deeks playing devil’s advocate or attempting to be Callen’s conscience. Notably, it is also Deeks who earlier points out each potential solution results in treason. 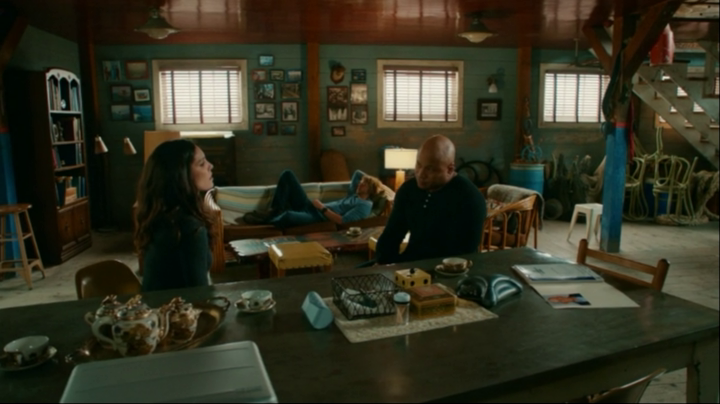 He is lying on the sofa, not sitting at the table with Kensi and Sam who are trying to problem solve. Callen and Deeks’ relationship has never particularly been explored, yet in this episode there is a strong undercurrent that Deeks does not understand Callen’s motivations, why he is so desperate to save his father. It is something worthy of exploration further in the future. 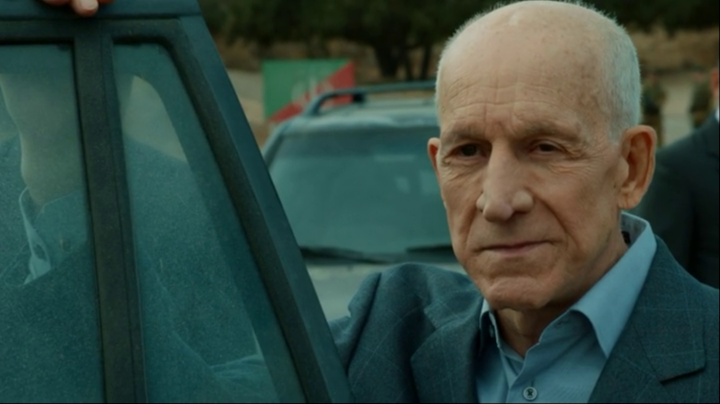 Knowing Iran will give Nikita to the Russians (so Head of FSB Pavol Volkoff can exact revenge on his old enemy), Callen suggests an alternative solution; find Anatoli Kirkin and use Russian gangs to pressure Volkoff in taking Kirkin instead of his father. It is here the question of morals first arises and also the first of several parallels to previous episodes. Anna Kolcheck was prepared to swap Kirkin for Arkady in season seven and like Callen, both were in touching distance of being able to complete this and both were prepared to live with the moral consequences. Deeks: Listen, Callen, not to play the devil's advocate here, but I think this needs to be said: even if we find Kirkin, which is a big if unto itself, we're essentially handing him over to be tortured and killed. Callen: What do you think Volkoff is gonna do to my father? Deeks: No, I-I get that. Callen: I'm not gonna force you, Deeks. I'm not gonna force anyone. The only other option is doing nothing, and that is not an option for me. Sam: This isn't about right and wrong. This is about his family. It is quite ironic that it is Deeks who repeatedly challenges this, not because it is Kirkin who himself is morally questionable, but that Deeks has demonstrated how he put his morals to one side when he water boarded the cleric to try and find Kensi. Deeks’ actions were rash and impulsive and in Come Back (S07E14) he admitted he would torture again in a heartbeat to save someone he loved, even though he still experienced nightmares. Is he trying to prevent Callen from selling his soul? The difference is Callen’s actions are not impetuous but calculated. He would send another man to his death to save his father’s life and that is pole vaulting across the line into treason. Luckily for both Callen and Kirkin, the team fail to secure the latter despite numerous attempts. It is unusual for the team to be thwarted at every turn and were it not for the deeply personal reasons for Callen, it would have made a refreshing change. Callen is still emotionally challenged, holding back from Alex at breakfast and later takes a verbal battering when she unleashes her anger towards him. He could easily have retaliated, reminding her of his own childhood and abandonment by their father, but this is not necessary and there is more power behind Callen withholding his own personal anger and bitterness. Her words add to the pressure for him to prevent the trade. The physical contact between father and son finally occurs when all else has failed and Callen tries to force Nikita to escape with him. Their struggle ends up in a forced embrace, with father calming down son and in one of many heartbreaking scenes, Nikita states that trading him for two innocent people is the right thing to do and part of the life his has chosen. It was difficult to see how the ending could ever play out differently. There is no more desperation, just sadness and an acknowledgement of loss. After Alex hugs her father farewell, Callen and Nikita remain apart yet they are now closer in their relationship. Their only physical contact is a handshake, a reversal of their first meeting. As before, Nikita offers his hand first but this time Callen makes the move forward. 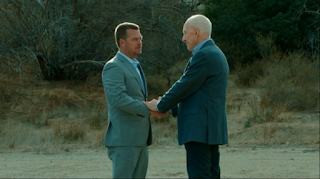 Again, Nikita places his other hand on top of Callen’s and in another reversal, it is the father who pulls away and walks towards the waiting vehicles. Callen’s only just found his father and is forced to let him go. Both know he’ll be handed to the FSB and imprisoned, tortured and killed. The slightly optimistic words from Nikita seem more to comfort his son rather than offer hope that he will once again escape and claim a new name (Igor, aptly meaning ‘warrior of peace’ in Russian). It seems a definitive and extremely cruel goodbye - and NCISLA does make tough character decisions (remember they’ve killed off Dom, Hunter, Renko and Michelle across the seasons so far). Pavel Volkoff has made an enemy out of Callen which begs two questions. Firstly, will he let this lie and secondly, how will Callen cope with such a betrayal by the State Department, his own country. Elsewhere the power struggle between Hetty and Mosley continued, with a vital part of their early conversation withheld until a flashback scene. It was only a matter of time until Hetty spoke with Mosley about her missing son, understanding Mosley had not shut down the team’s treasonous actions as she empathised with Callen’s situation. Hetty has again won another round, later explaining the reasons to Callen. He and Mosley do not see eye to eye and drawing comparisons between them through shared experiences sets the scene for future episodes; next week Mosley pairs up with Callen. It is also apparent that Mosley’s story will play out before season’s end. The comic relief - much needed in such a depressing episode - came as expected from Deeks. From finding grey hairs to realising Kirkin has found his doppelganger, it is the actions and reactions between him and the love-struck Russian which takes the edge off Callen’s increasingly desperate position. As Mosley’s assistant, Hidoko still has to earn the trust of the team despite always being on their side and sadly was the only one singled out for a ‘talking to’. There are no professional repercussions for Callen, although he was advised the FBI are fully aware of his KGB father and have so far chosen to ignore how the son of a KGB officer became an NCIS special agent. (Mosley has previously voiced concerns over associations with Arkady (former KGB) and Anna.) One minor quibble - Callen had no idea who his father was until two years ago and secondly, was FBI, DEA and CIA before joining NCIS. As with last week’s episode, tight writing, directing and management of recurring guests again serve to bolster the case and drive the episode and characters forward. There is no unnecessary distraction and once again, writer Andrew Bartels has confirmed his position in writing the best Callen-centric stories. Each time Callen’s family is called in to question, he draws closer and closer to crossing the line and in Warriors of Peace, he did (in his mind at least, even if his father did not want to escape with him). This was a progressively desperate episode with a depressingly sad ending. For the second week running there were tears and with Frank Military co-writing next week’s, the intensity level could be set to continue in ‘The Monster’. What did you think of the episode? Why was Deeks so insistent on questioning the morals of Callen’s actions? Will Nikita be seen again? Will this affect Callen moving forward? And did anyone else shout ‘NO’ when Callen seemed about to get a shave? !